Last week was a dramatic week in the Legislative Assembly with a rare no-confidence motion debated, focused on allegations of a ‘culture of corruption’ that is alleged to have developed in the Captial. The theatrics of the debate somewhat obscured an important milestone that also occurred around the work that is being done to strengthen the integrity framework in the ACT. This milestone was the tabling of the Final Report of the Legislative Assembly Select Committee who has been inquiring into the establishment of an anti-corruption and integrity commission, following the agreement of all parties that this was an idea worth considering in the lead up to last year’s Territory election. Over the last six months, a committee comprising of members from the three political parties represented in the Legislative Assembly looked at anti-corruption commissions that are operating in all States across Australia, accepted public submissions and held public hearings to get an understanding of what would be needed to design a fit-for-purpose anti-corruption commission in the ACT. This inquiry attracted significant interest, with a range of groups and individuals expressing their views on who should be covered by the Commission, what its functions should be, and what safeguards should be in place to enhance the operations of such a body. In tabling its final report last week, we saw one of those rare moments where there appears to be a consensus reached regarding the form and function that the commission should take, with no dissenting reports, and broad agreement as to the type of agency that would work best in the ACT. The final report reflected on some specific issues that strengthen the case for an ACT anti-corruption and integrity commission. These include the small size of the ACT which results in people managing multiple roles, the city-state arrangement which removes a layer of oversight and scrutiny, our small revenue base (particularly focused on land sales as the key income stream for the Government) and the long incumbency of the current Government. The proposed commission is broad in scope and coverage. The committee resisted calls to limit its scope, and has recommended that politicians, police, public officials and the judiciary should all be open to scrutiny. It has suggested that the commission should have the objectives of investigating, exposing and preventing corruption, as well as fostering public confidence in the ACT Government. It has recommended broad powers, including the ability to hold public hearings – although some members of the committee expressed caution around this approach. 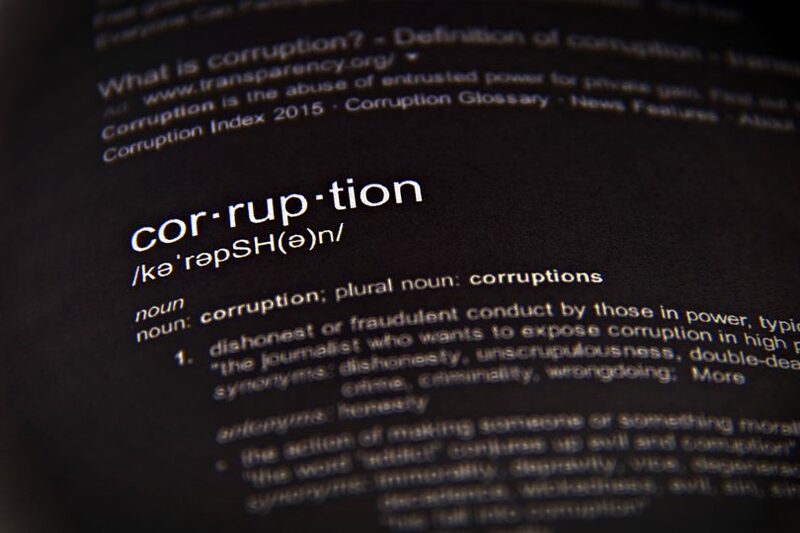 This issue emerged through the process as a key consideration, with some commentators suggesting that public inquiries have been key to the more significant impact of the NSW anti-corruption watchdog in comparison to other commissions around Australia. The committee considered the ways in which the commission’s design can enhance the independence of the commission – recommending that its head should be an ex-member of the judiciary and have significance distance from the ACT Government, and how it should interact with other elements of the ACT’s integrity infrastructure. The committee has recommended moving quickly to establish the commission in this term of the Assembly, with legislation recommended to be introduced by the end of 2018. As the Government moves to develop the legislation to establish the commission, it will be vital to ensure that issues such as appropriate resourcing and selecting skilled and professional officers to oversee its establishment. This will be much easier if the spirit of consensus that has been fostered in this first stage of the process continues as we move to the important phase of implementation. I think we are at a point in the city’s development where we need an anti-corruption and integrity commission, and it is important that the ACT Government now moves quickly to establish an ACT anti-corruption and integrity commission. What do you think? A copy of the final report can be obtained via the ACT Legislative Assembly website.